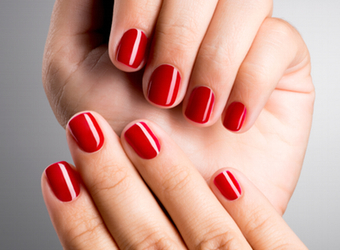 The Coca-Cola Company has licensed its brands in a deal that will see the release of a range of nail polishes this June by nail polish brand OPI. It’s the latest addition to the company’s profitable licensing deals, which rake in more than $1 billion annually. Coca-Cola has more than 300 licensees selling its branded products, the likes of which already extend to apparel, sports balls and bicycles among a dozen other categories. The Coca-Cola x OPI range features nine new colours inspired by Coca-Cola’s best selling drinks including shades such as ‘Today I accomplished Zero’, ‘Sorry I’m fizzy today’ and ‘Get Cherried Away’. Kate Dwyer, director of worldwide licensing for Coca-Cola, told ABC News America the drinks manufacturer’s partnerships with beauty products dated back to the 1940s. “I hear so many people saying, ‘Oh wow, I was in a salon and somebody was saying, hey I want Coke Red’… So I think it’s something consumers were organically doing on their own, and it just allows us to meet some of those demands that already existed,” said Dwyer.